Stop the endless sifting through spreadsheets. Simply plug in your smart contract address & we’ll do the rest. There’s a lot more going on under the hood. While we currently work with any Ethereum smart contract, we will be supporting more platforms, starting Q2 2019. 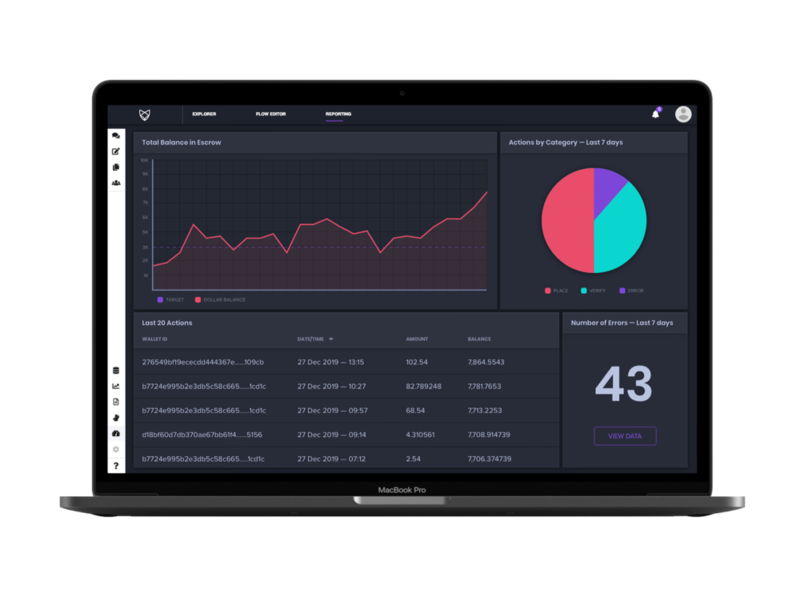 We’re actively engaging with protocols to integrate both our analytics as well as explore opportunities with our visual smart contract builder. Contact us for more information. Our decentralized framework helps model business processes which are then used as a code architecture. It is highly unusual, but allows us to do things quickly that others can’t do at all!